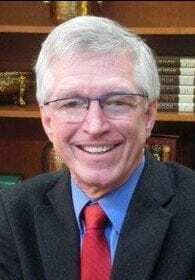 David McDevitt’s recent column on ClarkCountyToday.com offers an interesting proposal. I always welcome new ideas, especially when they help inform citizens. He suggests we should consider something like what New York and New Jersey did in forming their Port Authority almost a century ago. Governors from both states would appoint an equal number of members. This reminded me of Rep. Liz Pike’s proposal (HB 1222) to create a bi-state committee of legislators to lay groundwork to address future transportation issues. Sadly, it did not pass the legislature. 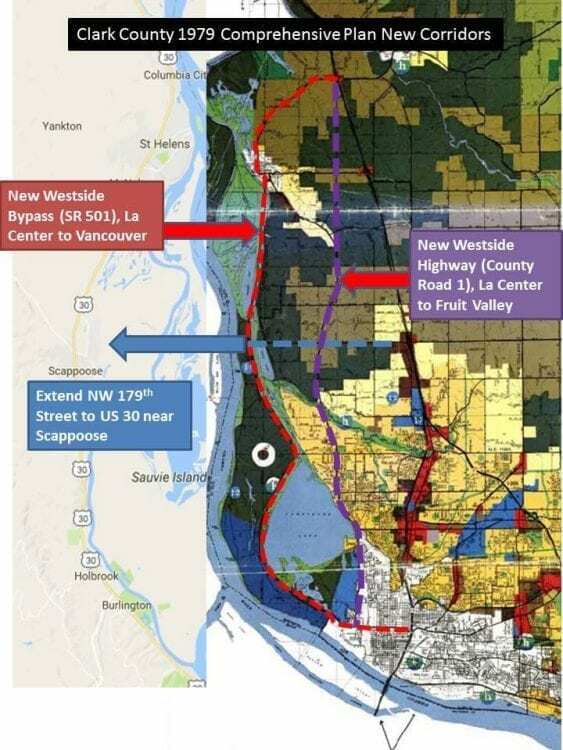 McDevitt mentioned my discussion of a “ring road” around the Portland area. This was from a 1970s plan. 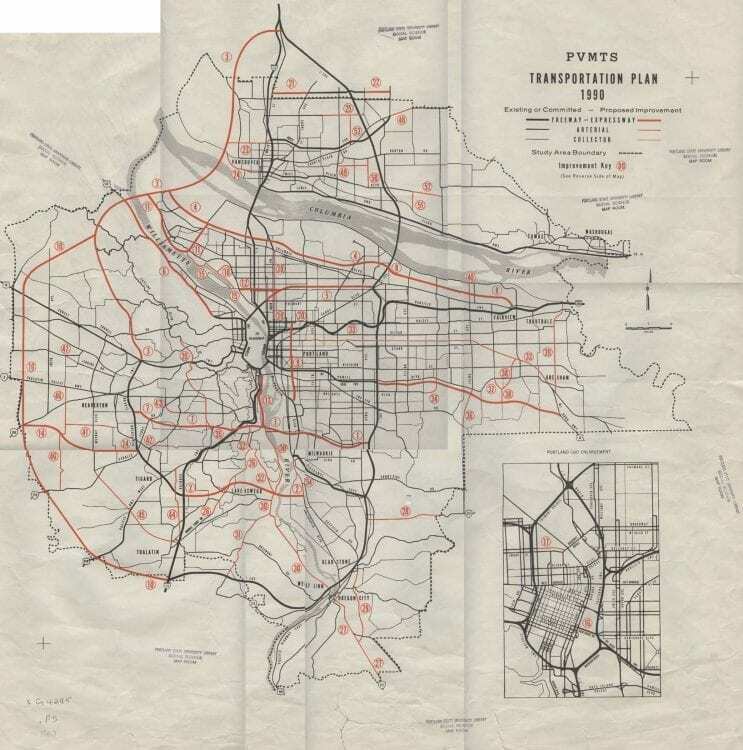 The map shows what was supposed to be the completed road system for 1990. No. 1 — here’s a map of the “ring road” that I was talking about at the RTC meeting. We built the eastern half of the “ring”, I-205. It opened in Dec. 1982 and resulted in an immediate 18.5 percent reduction in the traffic on I-5. Sadly, our elected leaders chose to not build the western half. You can view the 1979 Clark County transportation map for a connection to US 30 in Oregon and presumably a new bridge across the Columbia in the piece linked to above. On the surface, it’s great to discuss and learn from the bistate Port Authority created by New York and New Jersey. It’s instructive. That said, one huge concern for SW Washington citizens is that “our” side would be appointed by a Washington governor who sides with Portland’s liberal view of transportation. This kind of representation would leave SW Washington citizens’ concerns and transportation needs totally unaddressed. But for Kitzhaber’s light rail demand, and Gov. Inslee agreeing, a new bridge would most likely be under construction today. This is one reason we are currently faced with the very sad reality of Oregon wanting to impose tolls “at the border” with Washington on both I-5 & I-205. They want SW Washington citizens to pay for part of Oregon’s transportation system. We learned from the CRC, and forensic accountant Tiffany LeMay Couch’s great analysis of the data, that SW Washington citizens would be paying roughly $2 billion of the $3.3 billion in tolls collected by the proposed CRC plan. That was hugely unfair on many levels. Any effort to move forward has to begin with mutual respect. So far, we’ve witnessed far too little respect from Oregon. Oregon’s tolling plan seems to continue to disrespect SW Washington citizens. 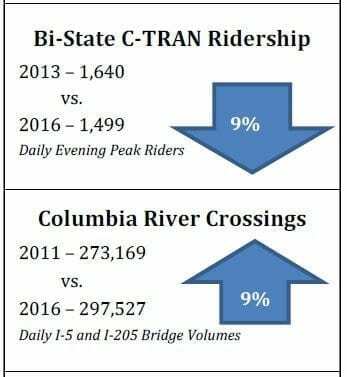 They didn’t even inform our RTC, (if you believe what’s been made public so far), of the tolling discussions by the Oregon legislature. Oregon already collects significant money from SW Washington citizens. In 2016, over 72,000 Clark County residents paid $204 million in Oregon income taxes. Another 41,000 “other” Washington citizens paid an additional $88 million to Oregon. That’s $292 million last year. We need cost effective transportation solutions. Oregon (and Portland specifically), has spent between $4 billion and $5 billion on light rail over the past four decades. They’re pushing for another $1 billion plus light rail extension into Tigard right now. Yet light rail has done next to nothing to reduce traffic congestion. Sadly, yet believably, light rail into Clark County remains on the 20-year transportation plans of both JPACT and our own RTC. We have no legitimate “need” for Portland’s financially bankrupt light rail. Last year, an average of 1,500 people per day rode C-TRAN’s “express” bus service into downtown Portland. Why spend $1 billion or more, just to have a light rail line that takes these 1,500 people off busses, and puts them on a much more expensive light rail? It makes no financial sense. Furthermore, it takes longer to ride the light rail to downtown Portland than it takes people to ride C-TRAN’s express bus service. Let’s continue the discussion. Let’s see “if” Oregon will respect the concerns of SW Washington citizens, on the tolling “Policy Advisory Board” which will meet six times over the next year. We are a minority — 3 of the 24 seats on this board. Will we be made an “unwilling piggy bank” for Oregon’s transportation projects? Or will they be respectful of the contribution SW Washington citizens are already making to Oregon’s coffers? 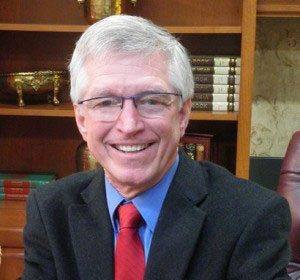 John Ley is a Camas resident and a 2018 candidate for State Representative, 18th District, Position 1.